The Board of Trustees is responsible for the long-term financial health of the School. The Board sets broad policy of the School based on the principles of progressive education and consistent with the objectives of the School and our founder, Caroline Pratt. Voting membership includes representatives from the teachers, alumni, parent body, and friends of the School. Committees reporting to the Board are listed at the bottom of this page. Lakshman Achuthan joined the Board of Trustees in January of 2014. 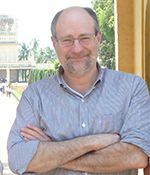 He began studying recessions in the early 1990s at Columbia University and then co-founded the Economic Cycle Research Institute in 1996. Lakshman also serves on the Putney School board, among others. He and his wife, Tracy White, have three children (’22, ’26 and ’29) at the School. Alf Blitzer, a long-standing Trustee and son of a C&C alum, serves as the Chair of the Board's Audit Committee. Previously, he served as the Chair of the Board’s Development Committee from 2006 until 2011. 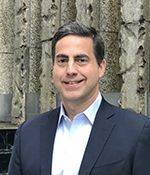 He has been an IT executive for over 25 years and had roles on the national board of City at Peace and the board of directors of the Greenwich Village Little League. Alf’s son attended City and Country from the 2s – 13s, graduating in 2009. 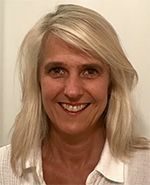 Kate Bostock-Shefferman﻿, who joined the Board in 2014, serves as the Board's Secretary and chairs the Development Committee. She and her husband, Jesse Shefferman, are the Parent Chairs of the School’s Annual Fund. Kate is engaged in many community and philanthropic interests. She has a B.A. in History from Duke University and received her M.B.A. from Duke’s Fuqua School of Business. She and her husband have two daughters at City and Country School ('21 and '24). Josh Cender joined the Board in 2016 and is Chair of the Communications Committee and Vice-Chair of the Development Committee. He previously served as Co-President of the Parents Association (2014–16), and has been a Group Representative and Annual Fund Representative multiple times. Josh and his wife, Laura Raicovich, have a son at C&C ('23). Josh is a family office executive experienced in finance, law, and operations, and began his career as a transactional attorney at Gibson, Dunn & Crutcher LLP. He has a law degree from New York University and a bachelor's degree from the University of Pennsylvania. Sheelah A. Feinberg '85, a C&C alum, grew up in Greenwich Village. She has served as Chair of the Alumni Annual Fund and as a Group Rep for two years. Sheelah and her husband, Michael Rutkoski, have a daughter at C&C (’27). She is currently the Director of Intergovernmental Affairs at the NYC Department of Finance. 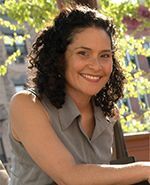 Prior to her current position, she served as Executive Director of the Coalition for a Smoke-Free City, and conducted advocacy campaigns covering a range of policy areas including economic self-sufficiency, parks development, and public health. She holds an M.S.A. from Saint Michael’s College and a B.A. from Goddard College. 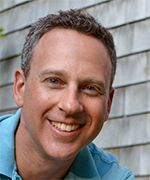 Jay Frankel ﻿joined the Board in 2017 as one of two teacher representatives. Jay is beginning his fourth year as an 8s teacher at City and Country, where he also coaches basketball. 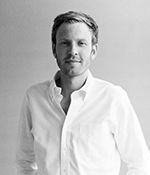 After graduating from the University of Kentucky, Jay moved to New York in 2008 to pursue a degree at Bank Street College. Jay taught fifth grade for a few years before making the move to the 8s. As an educator, Jay deeply values the experiential learning demonstrated by our school's Jobs Program. He lives in the West Village with his wife, Christina, and his dog Chester. John Kolz joined the Board in 2012 and is Board Chair. Formerly, he served as the Finance Committee Chair, Development Committee Chair, and Chair of the Annual Fund. John is a Managing Director at Credit Suisse and is Head of Equity Capital Markets for Technology, Media & Telecom and Healthcare. John has his undergraduate degree in engineering from University of Cincinnati and an M.B.A. from Northwestern University. John and his wife, Amy, have two sons at the School (’20 and ’22). 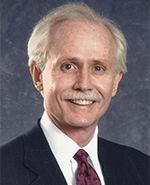 D. Edward Martin, M.B.A., C.P.A., a long-standing Trustee, has previously served as the Board’s Treasurer. An accountant and consultant by profession, Ed is a founder of, and current advisor to, EisnerAmper LLP's Not-for-Profit Industry Group (currently working with a number of NYC’s prominent independent schools) and has a widely respected expertise in not-for-profit auditing and other financial services. He is also an adjunct professor at Baruch College, sits on the advisory board of the Accountants Club of America, and is the former chair of, and a present consultant with, the audit and compliance committee of the New Jewish Home. Ed’s two sons both started in the 2s and graduated from the School in 2002 and 2007. Leah Modigliani joined the Board in 2009 and chairs the Board’s Investment Committee. She also serves on the Board’s Finance and Diversity Committees. Prior to joining the Board, Leah was Co-Chair of the Parent Diversity Group for three years. A graduate of Oberlin College and Harvard Business School, Leah is an Institutional Portfolio Strategist with a focus on the US stock market. In her professional career, she spent 13 years at Morgan Stanley and also worked for Neuberger Berman and, most recently, Bridgewater Associates. Leah’s daughters both started at C&C at age two, and her youngest daughter graduated in 2017. Leah also serves on the Oberlin College Board of Trustees as Co-Chair of the Investment Committee, and as Chair of the Board of Youth Communications. Anisah Moonsammy joined the Board in 2018 as one of two teacher representatives. She is a 3s Group Teacher and is going into her second year at City and Country. While completing her dual M.S.Ed degree at Bank Street College of Education in Early and Childhood General Education, Anisah was an associate teacher of Kindergarten and First Grade at Manhattan Country School. She is passionate about social justice, and is an activist for human, animal, and environmental rights. As an educator, Anisah deeply values the experiential and social-emotional learning that exists through C&C's Basic Materials. Scott Moran is Principal of City and Country School. He started his career as a student teacher at C&C in 2000. He was then VIIIs Group Teacher, IXs Group Teacher, the Math Specialist and Specials Coordinator, and Director of the Middle/Upper School (2007–2012). 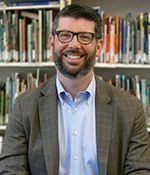 Scott was the Head of School at Westland School in Los Angeles from 2012–2017. Scott holds a B.A. in Psychology, and a Business Management Certificate, from the University of Rochester. He holds an M.S.Ed. from Bank Street College in Early Childhood and Elementary Education and is a permanently certified teacher in New York State. Scott and his wife, Jennifer, have two daughters at the School ('20 and '24). Barry Munger, a photographer, is a parent of two City and Country alums ('11 and '14). 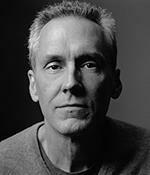 A native of Los Angeles, he attended Stanford University, and worked as a newspaper and magazine writer and editor in Los Angeles before moving to NYC in 1990. Barry chairs the Committee on Trustees. Ellen Breslow Newhouse joined the Board in 2006, that year chairing the Annual Benefit for the second time. She has also served as Communications Committee Chair, Development Chair, and Co-Chair of the Centennial Committee. Currently, Ellen is a member of the Executive Committee of the Board, as well as several other committees. Ellen has a professional background in marketing and uses her marketing and fundraising skills for a variety of non-profits. She also sits on the Board of the Women’s Division of Albert Einstein College of Medicine. Ellen’s son graduated C&C in 2012, having attended from the 2s through the 13s, and her grandson is a current 4. 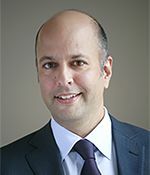 Mital Patel joined the Board in 2018 as the Parent Trustee. She is an Admissions Volunteer and a School Library Volunteer. She also served as a Group Representative for three years, prior to joining the Board. Mital has an undergraduate degree in Biological Sciences from the University of Maryland, Baltimore County, and worked as Research Assistant at the Center for Virology, Immunology, and Infectious Diseases at Children’s Hospital, Washington, D.C. Subsequently, she was a Patent and Primary Examiner at the United States Patent and Trademark Office. After moving to NYC, Mital became a volunteer with New York Cares, and a full-time mother after the birth of her children. Mital and her husband, Himanshu, have two daughters (‘23 and ‘26) at City and Country. Jennifer Sage '70, a C&C alum, was born and raised in Greenwich Village and she attended the School with her sister and five cousins, and her three children ('04, '07, '11) also attended C&C. 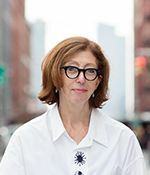 After earning degrees from the High School of Music and Art, Harvard College, and the Yale School of Architecture, she pursued her architectural career with I.M. Pei. & Partners before opening her own office, Sage and Coombe Architects, with partner and fellow C&C parent Peter Coombe. As chair of the Board’s Facilities Committee, Jennifer has supported all aspects of the School’s physical plant improvements, campus expansion, and ongoing renovation. Paul Salmon first joined the Board as the Parent Trustee Representative, serving two years. He rejoined as an At-Large Trustee in 2008, and currently serves as the Board's Treasurer and Chair of the Finance Committee. 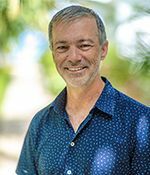 In addition to operating restaurants in New York, Paul is the founder and chair of Rockhouse Hotel in Negril, Jamaica. He founded and runs Rockhouse Foundation, building and supporting elementary schools and libraries in Jamaica. Paul is the parent of two C&C alums (’13 and ’18) and one current student (’25). Veronica Rivera Savage joined the Board in 2016 and chairs the Diversity Committee. Previously, she served as parent Co-Chair of the C&C Diversity Group for three consecutive years. Her husband Israel has shared his artistic background with C&C, by offering improvisation classes through our Add-ins Program. Veronica and Israel have two children attending C&C ('19 and '22). Veronica is a licensed social worker and educator for the NYC public school system. She has spent over two decades promoting youth development, social justice, and community building for NYC youth. She earned her M.S.W. degree from Fordham University and her undergraduate degree in Human & Organizational Development from Vanderbilt University. Courtney Smith joined the Board in 2017. She and her husband have two children at the School (’23 and ’28). 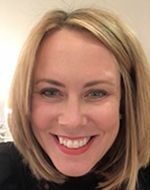 Prior to having children, Courtney worked as a consultant at McKinsey & Co. and Katzenbach Partners, advising nonprofit and media companies, and then joined Conde Nast and later a private real estate venture to work in a similar capacity. She is currently pursuing a masters in public health at NYU and previously trained as a lawyer, graduating from Yale Law School in 2001. Courtney is also a member of the Board of Directors for Planned Parenthood of New York City and has served on that board’s executive committee since 2009. 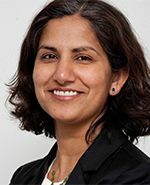 Namita Tolia joined the Board of C&C in 2018 as an outside educator. She is Head of School at Montclair Cooperative School, a proudly progressive Nursery-Eighth Grade school, in Montclair, New Jersey. 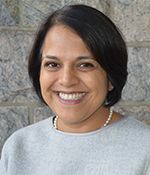 Namita has served as the Lower School Head at Little Red School House and Elisabeth Irwin High School and as an elementary school teacher at The San Francisco School in California. She has B.S. from Georgetown University, a teaching credential from the University of San Francisco, an M.A. from Stanford University, and an M.A. from the Klingenstein Center at Columbia University. Stuart Gold joined C&C’s Board in 1992 and served as its Chair from 1999–2005. Stuart was a litigating partner at Cravath, Swaine & Moore LLP until his retirement in 2014. He is the parent of two City and Country alumnae (’01, ’04). He is currently an advisor to the Strategic Planning Committee. Virginia Josephian served on the Board from 1988–2011. She received her undergraduate degree from University of California at Berkeley and did graduate work at the University of Chicago and overseas, where she received a doctorate in demography at the Australian National University. Her professional experience includes work in West Africa for the U.S. Agency for International Development in the U.S. Department of State, for the United Nations as editor of the UN Demographic Yearbook in New York, and as an economic affairs officer at the World Food Council in Rome. Frederick J. Knecht is the father of two alumni ('07, '11), and was Board Chair from 2006–2015. Fred is Deputy General Counsel of BNY Mellon. Prior to that he was a partner at the law firm Covington & Burling, and also served as Managing Director at Goldman Sachs and Merrill Lynch. He received his law degree from Stanford Law School and a bachelor's degree from Tufts University. The Ad Hoc Committee on Metrics and Enrollment compiles statistics helpful in admissions, fundraising, finance, and other areas of the School’s management. The Archives Committee manages and ensures that the School’s archives are up to well maintained and accessible. The Audit Committee ensures that there are adequate procedures for keeping accurate books and records, and has the School’s books examined and the accounts audited and certified annually by a certified accountant. The Building Committee oversees the day-to-day space and facilities maintenance needs of the School. The Committee on Trustees supervises the recruitment, education, and participation of Trustees. The Communications Committee oversees the School’s print publications; print and electronic communications with parents; and website, press, and media relations. The Development Committee oversees fundraising, including the Annual Fund, Benefit, Endowment, and Capital Campaigns, and publicity, mailings, and presentations related to fundraising. The Diversity Committee works to support the School's commitment to social justice, equity, and inclusion. The Facilities Committee oversees and plans for the School’s long-term space needs. The Finance Committee supervises the handling of the School’s finances, real estate, and property. The Investment Committee is responsible for the management of invested funds, specifically the School’s Endowment.